Since 1988, Road Hog has been developing and manufacturing asphalt milling machines and attachments for construction projects both small and large. 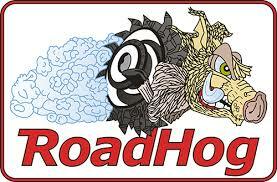 Road Hog manufactures its paving equipmentwith great attention to detail, which translates to reliability and durability for you. At Papé Machinery Construction & Forestry, we offer the latest in Road Hog planers to keep you moving through even the toughest paving jobs. Contact your nearest location across Oregon, Washington, California, or Nevada for more information.